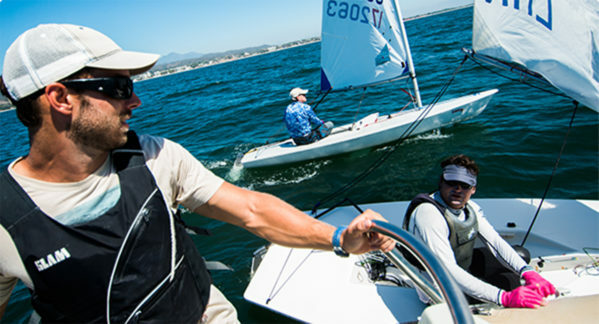 At ISA, you’ll find the best training opportunity for all Laser sailors. We achieve this by providing exceptional accommodations, delicious meals, new equipment and world-class coaching. Here in La Cruz, you’ll sail in a daily afternoon sea breeze with sessions timed for train in flat or wavy waters; light or heavy air; while one of our top coaches will help you raise your game. We hope you’ll discover why so many have called this the best place they’ve ever sailed. Vaughn has worked with countless Olympians, youth and masters sailors. He coached at the 2016 Rio Olympic Games. Brett is not only one of the most highly respected Olympic Laser coaches, he has also won 13 out of the 15 masters worlds he has attended. Colin joined ISA in 2015 with over 10 years of experience. His coaching style is technical, patient, and analytical. Robert has extensive experience coaching the Laser class with Olympic level, youth and masters sailors. His outgoing and contagious personality put forward a positive, energetic and effective learning environment for all sailors who work with him. Paul has a Ph.D. in human performance technology. 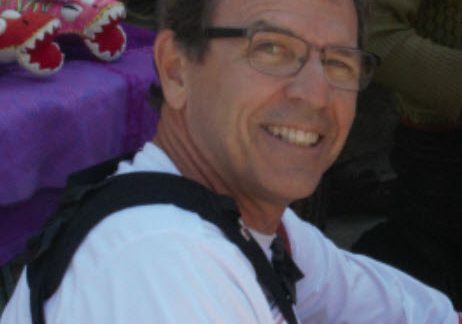 He works with the ISA coaches to analyze, break down and effectively teach the cutting-edge techniques of the world’s top Laser sailors to ISA clients using powerful instructional strategies and technologies. Petra has been cooking us delicious and nutritious meals since ISA was founded. She is not only an exceptional cook, but is also extremely talented at catering to individuals dietary needs and preferences. She’ll be sure to keep you well fueled for your week on the water! Over the last 8 years, Vaughn has been the Head Coach at ISA. Having founded the business as a way of fielding his growth as a coach, he has spent over 1000 days on Banderas Bay working with numerous sailors of varying skill. Vaughn has developed a curriculum and language for sailing that is easy to understand and consistently applies to every camp. He is able to identify weaknesses and adapt to everyone’s learning curve. Outside of ISA, Vaughn has been coaching and racing in the World Cup circuit which puts him in Europe each spring. Vaughn has coached 6 World championships including 3 medals in Laser Masters. Since 2012 Vaughn has focused more on developing his racing skills in other boats. Having worked several months as the team manager for trimaran MOD 70 Orion in San Francisco, Vaughn got an opportunity to mingle with some of the worlds best offshore sailors. In 2014 Vaughn began working with 2 time Olympian Greg Douglas in Finn. Afterward, he helped with the transition of Tom Ramshaw into the Finn class. Tom went on to place 10th at his first European championship and 8th at the Gold Cup in Gaeta, Italy. Vaughn has been working closely with Andrew Lewis from Trinidad and Tobago and Cy Thompson of US Virgin Islands who both qualified for the 2016 Rio Olympics. Vaughn coached Cy Thompson (ISV) at the 2016 Rio Olympics. Brett is not only one of the most highly respected Olympic Laser coaches, he also consistently wins the Laser Masters Worlds (He’s won 13 out of 15 attended, and podiumed the rest). He has been involved in last 5 Olympic Games as Fitness advisor and Laser/Radial Coach. Colin first attended an ISA clinic in 2012 as a client looking to better his Laser racing capabilities after a hiatus from dinghy racing. He returned to ISA in 2013 as a long term guest to ISA and consultant, and acted as sparring partner to Vaughn Harrison in his preparation for Miami OCR. In 2014 he dominated his local scene winning the Maine State Championship Series for a second time and won most events in the state. 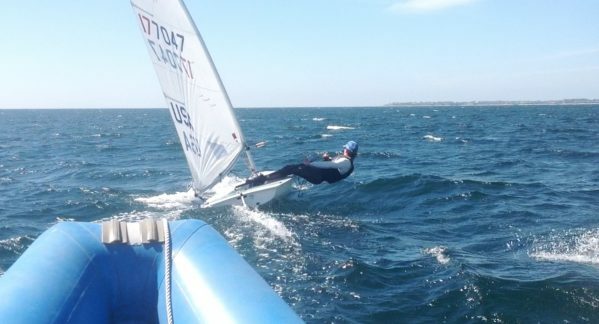 His strong desire to coach laser sailing became evident during ISA training sessions, and he began to integrate methods developed by Harrison first hand, and to study other coaching techniques observed from Tunnicliffe, Blackburn, Bergeron, Beyer and others. Colin began coaching for ISA full time in 2015 and has been evolving his methodologies and technique with the mentorship of Vaughn Harrison and Brett Beyer ever since. His coaching style has been described as technical, patient, methodical and analytical. He views personal character as the most important foundational attribute to success in sailing, and emphasizes effort/work ethic alongside technical improvement to facilitate rapid growth of achievement. Robert began his sailing career in the Opti, later moved on to the Europe dinghy. He then focused on Laser where he sailed at the World Cup Level including multiple World Championships. He later pursued coaching as his career choice to share his extensive knowledge and utilize his passion for helping others sail better. Robert was a personal coach for Zach Railey and Fredrik Lassenius in their efforts towards the Olympic Games in Athens 2004 (Laser). Zach later went on to win a silver in the Finn at the 2008 Olympics. Frederik took silver at the European Championship in 2002. Robert is currently the Head Coach for the Swedish Laser Class Association and the Royal Swedish Yacht Club Laser Olympic Challenge Squad. He also authored the Laser Guide developed for the Swedish Sailing Federation. Paul has sailed over 360 days with ISA on Banderas Bay during the past three years. He is dedicated to learning and mastering Laser sailing and now is prepared to share and teach what he has learned. During the past five years Paul has gone from a Laser beginner to competing at the Laser Masters World Championships, winning his summer fleet series, and placing third in the District 23 Championships. His recent Laser learning experiences give him a unique insight into the needs and feelings of ISA customers. Paul earned his doctorate at the University of Oregon. During his career he designed and developed corporate management, customer service, performance improvement and product training for many Fortune 500 companies. He has also developed coaching programs for Little League Baseball, fly fishing casting, and guitar instruction. He is excited to apply his expertise to designing, developing and refining the Laser sailing coaching curriculum. Paul has been awarded the Outstanding Instructional Product/Intervention of the Year Award from the International Society for Performance Improvement (ISPI) on three separate occasions. He has presented workshops in many Fortune 100 companies and has spoken at Training Magazine and ISPI international conferences. Petra has been involved with cooking delicious and nutritious meals from the beginning of ISA. 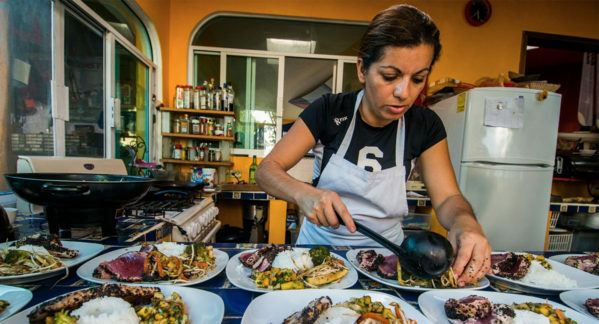 Coming from a family of restaurateurs and having trained under American chefs, Petra whips up amazing meals to keep sailors fueled and happy. We can accommodate for any diet, dislike or allergy, just let us know on your signup form!